Google is expected to miss out cashing in on the Fortnite craze due to Epic Games' decision to distribute the Fortnite Mobile APK outside the Play Store. App Store intelligence firm Sensor Tower projects that Google might stand to miss out on more than US$50 million in platform fees for the remaining part of 2018. Circumventing the Play Store might have a slight impact in overall downloads of the game but its revenue potential stands to remain fairly unaffected. App store intelligence firm Sensor Tower has projected that Google will likely miss out on more than US$50 million in revenue via in-app purchases in Fortnite Mobile for Android. The revenue is being estimated for the remaining part of 2018 and is projected based on the Apple App Store revenues so far. Epic Games, the developer behind Fortnite, had taken a non-conventional approach to distribute the Fortnite Mobile APK via its website instead of the Google Play Store. This was to avoid the 30% cut developers would have to partake with Google for distributing apps via the Play Store. It applies to in-app purchases as well, which is the primary means of ringing the cash registers for games such as Fortnite Mobile. 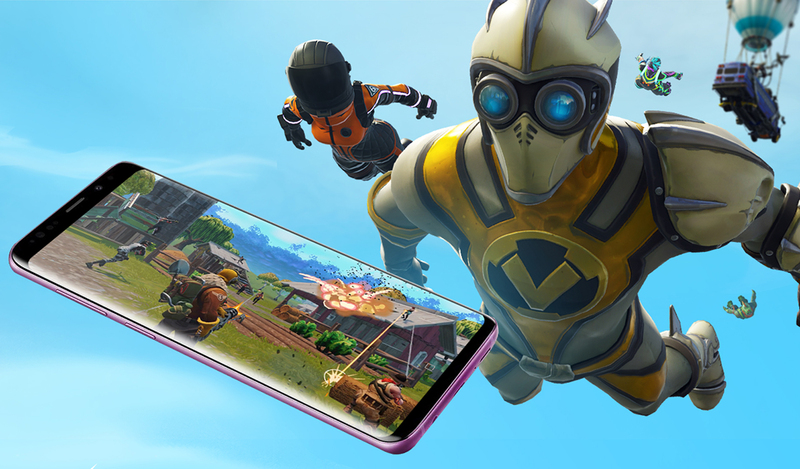 Fortnite Mobile for Android was announced alongside the Samsung Galaxy Note 9 recently and was officially made available only for Samsung flagships. We reported that Epic has now opened invitation requests from non-Samsung phones as well and thus, the number of devices running Fortnite is expected to rise over the next couple of months. Sensor Tower expects that once the game is out of beta and available for most devices, the extent of spending on in-app purchases on Android is likely to mimic that of the Apple App Store. On iOS devices, Fortnite has crossed the US$180 million mark since its launch on March 15 with Apple making more than US$54 million so far via the 30% cut. Google is apparently not too happy with Epic Games' decision. 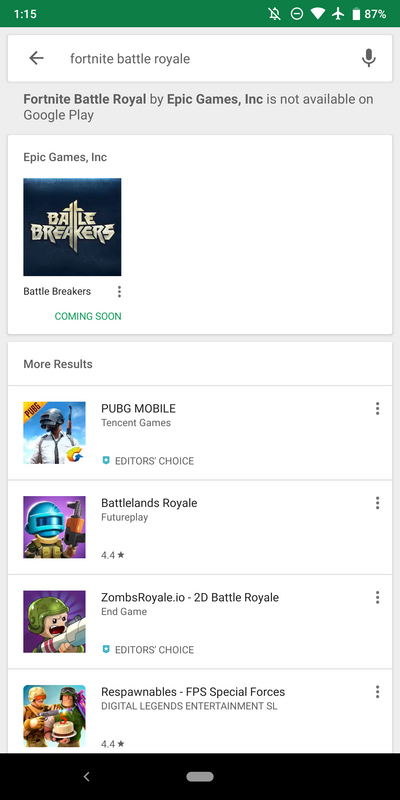 A search for Fortnite in the Google Play Store shows that 'Fortnite Battle Royal' (note that it's not written as Royale) is not available and recommends PUBG Mobile as an alternative. Given that Android is an open system, this sets a precedent for other developers also to follow a similar model. It might not always be beneficial, though. Epic can get away with it due to the popularity of Fortnite on other platforms. While the pros and cons of Android's open system can be debated till no end, there is definitely a need to educate users to sideload APKs only from trusted sources. Luckily, the Fortnite installer will prompt the user to revoke the permission to install from outside sources after the game is installed so all should be well in the end. Sensor Tower expects that the distribution of Fortnite Mobile outside the Play Store might have some effect on the number of downloads but the overall revenue generating potential of the game will be more or less unaffected.